MAP – Expo 2018 will offer you and your company the opportunity to explore herbal markets in different European countries and find out what is the most suitable target market for your business. Let’s take a closer look at how this industry is performing in the Baltic states. 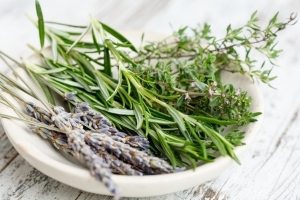 According to the Centre for the Promotion of Imports from developing countries (CBI), the demand for fresh herbs in Europe is experiencing an upward trend. This trend is also visible in the Baltic states (CBI Ministry of Foreign Affairs, 2016). The trade of herbs in Lithuania is mostly influenced by the collection of herbs in the wild and imports. Herbs collected in the wild account for 29 percent of all the ingredients used in pharmaceutical industry, while 65 percent of ingredients are received from imports. Lithuania imports plants and herbs from Ukraine, Germany, Poland, Egypt, to name just a few. On the other hand, exports from Lithuania are targeted mainly to Russia, Estonia, Latvia, Belarus. The export of herbs and plants contribute a little bit to the trade and are mostly focused on the countries located in eastern Europe. As was stated by J. Radusiene, Hawthorn, Arctostaphylos uva-ursi, Menyanthes trifoliata, Hypericum perforatum, and Breckland thyme are the most popular herbs in Phytomedicine (Radusiene, 2015). The trade of herbs and plants in Latvia is somewhat similar to Lithuania. As reported by Trade Map, the main importers of herbs, medicinal plants are Germany, Lithuania, Belgium, the United Kingdom, Denmark. The total value that these countries imported from Latvia in 2016 were 86,864,000 US Dollar. On the contrary, the biggest exporters that Latvia imports herbs and medicinal plants are Lithuania, Poland, Kazakhstan, Germany, and Sweden. The total value of the countries exporting to Latvia in 2016 was valued at 46,014,000 US Dollar (International Trade Centre (ITC), n.d.). Herbs that are collected and marketed the most are as follows: Achillea millefolium, Bidens tripartite, Thymus serpyllum, and Hypericum perforatum. The domestic vegetation in Estonia is made up of around 1500 vascular plants (plants that has conducting tissue) and herbs. The traditions of using medicinal and aromatic plants there have deep roots. Nowadays, everyone can easily find much more herbal drugs and herbal teas in this country compared to the rest of European countries (Baricevic, Bernáth, Maggioni & Lipman, 2002). Estonia imports medicinal plants and herbs largely from Latvia, Lithuania, Ukraine, the Netherlands, and Denmark. The significant amount of herbs and medicinal plants are exported to Finland, Latvia, Germany, Lithuania, and to Sweden (International Trade Centre (ITC), n.d.). To conclude, it can be seen that the main trade partners regarding herbs and medicinal plants of all three Baltic states are the neighbouring countries, Germany, and Sweden. These countries account for the most amount of money in importing and exporting these raw materials. Sources Baricevic, D., Bernáth, J., Maggioni, L., & Lipman, E. (2002, September 12). Report of a Working Group on Medicinal and Aromatic Plants. Retrieved from http://archive-ecpgr.cgiar.org/fileadmin/bioversity/publications/pdfs/984_Report_of_a_working_group_on_medicinal_and_aromatic_plants-cache=1415189213.pdf CBI Ministry of Foreign Affairs. (2016, July). CBI Product Factsheet: Fresh Herbs in Europe. Retrieved from https://www.cbi.eu/sites/default/files/market_information/researches/product-factsheet-europe-fresh-herbs-2016_final_approved.pdf Free Image on Pixabay - Herbs, French, Bouquet, Gourmet. (n.d.). Retrieved from https://pixabay.com/nl/kruiden-franse-boeket-gourmet-2523119/ International Trade Centre (ITC). (n.d.). Trade Map - Trade statistics for international business development. Retrieved from http://www.trademap.org Radusiene, J. (2015, January 13). 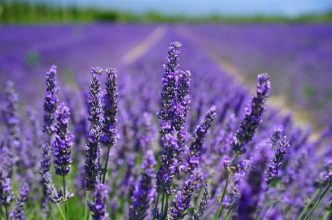 Trade, Use and Conservation of Medicinal and Aromatic Plants in Lithuania.